TOEFL is also known as Test of English as Foreign Language. It is considered as one of an ideal test to assess the proficiency of a candidate in the English language. It is a widely accepted fact that you are longing to fulfil your desires of achieving a foreign degree from a reputed international university. On the other hand, at the same time, it is also vital to know about the requirements of getting admissions in colleges abroad. If you are thinking of getting admission into a university in a nation where native language is English, and the means of teaching is same, it is compulsory to pass the entrance test like TOEFL. It is to ensure that you posses all the compulsory high skills in the English language. Cambridge IELTS is also one of the leading coaching centers for the best PTE coaching in Chandigarh. Why should one opt for PTE coaching? 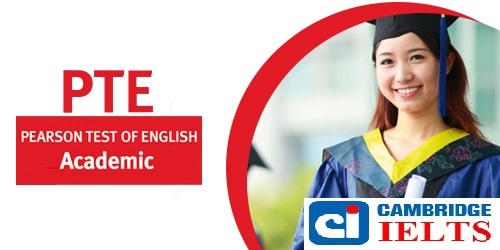 PTE is the world’s leading computer-based test of English for studying in abroad. It is also an eligibility test for immigration. If one is planning to apply to universities that are located in Australia or UK and need a proof of English proficiency, then the PTE Academic Score would come to their aid. The PTE course conducted by Cambridge IELTS emphasizes listening, speaking, reading and writing. It is also a single three-hour online test session. As a top PTE coaching center, they have the trainers who can evaluate the strengths and weaknesses of the students. They are also one of those coaching centres, which conduct training that involves Mock Tests, effective time management, strategy sessions and problem-solving. During the test, the candidate hears a range of accents in British and American form. Hence, the students have to ensure that they are well-acquainted with these types of accents to get enrolled in TOEFL Coaching Centre in Chandigarh. IELTS has been divided regarding the purpose of a test taker. It is important to note that IELTS Test is conducted in two versions-IELTS Academic and IELTS General training. The IELTS coaching Centre in Chandigarh would help you to make you aware of the difference in patterns between IELTS and TOEFL training. Those who want to pursue UG or PG can take the IELTS Academic test. On the other hand, the general training test is undertaken by those who wish to continue work-related training in a country where English is the primary language.